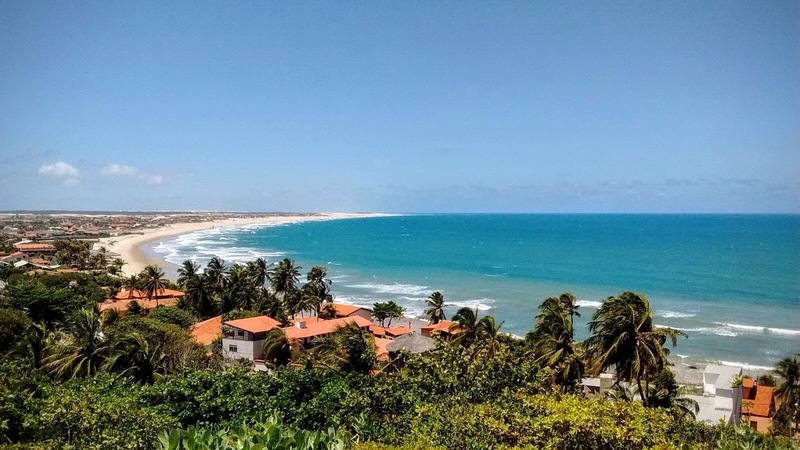 65 km to the west of Fortaleza, is situated the idyllic fisherman village Taiba, which kept until today his traditional spirit. Laying between dunes and palm trees, Taíba attracts with its unspoiled nature and a picturesque bay as a restful oasis. The long, inviting and white sandy beach with its natural pools is suited for swimming and surfing. The wide beach is in both directions nearly endless and deserted and white dunes create a natural setting. In the little beach restaurants (barracas) they prepare for you fish, shrimps, lobster and other delicacies. Some restaurants in Taíba offer delicious regional and international dishes.